I am sitting in the airport in San Jose, Costa Rica, trying to wrap my head around flying home. These past nine days seemed to fly past us. This country has taught us so much in just a short time. We met some wonderful people from around the world. Several Costa Ricans and expats helped us when we needed it and showed us so much kindness. I will never forget it. I plan to share tons of photos in the coming days and weeks, but for now, here’s our itinerary. We explored the Caribbean side of Costa Rica and will leave the Pacific side for another trip in the future. There’s so much to do in Costa Rica that you could easily spend a full trip in each part of the country. Land in San Jose and spend a night at the Wyndham. Fly to Tortuguero on Nature Air and spend two nights at Tortuga Lodge. Take a boat ride and car ride south to Cocles. 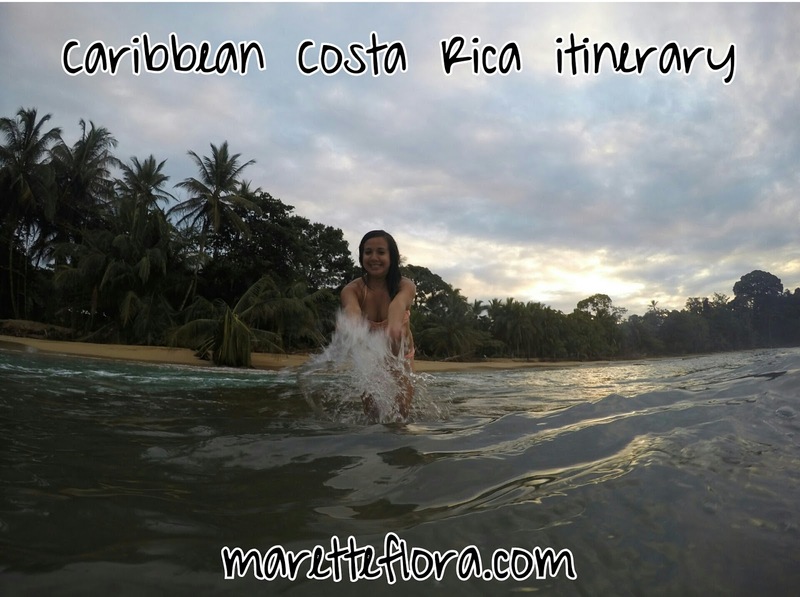 Spend four nights there exploring Punta Uva, Puerto Viejo and Cahuita as well as ziplining in the Bribri area. River rafting trip on the Pacuare river with shuttle transportation to La Fortuna. Exploring La Fortuna for a day, including the Arenal Hanging Bridges. Private shuttle to San Jose with a night at the Country Inn and Suites. Looking back, we could have maybe cut down a night in Cocles and made it to Monteverde as well, but hopefully we can visit Costa Rica again in the next couple of years to see the other side of the country. Have you been to Costa Rica? What did you think?